Through its official Twitter handle, Congress shared an image that has multiple miniatures of a man dressed as 'chowkidar' (watchman) and among the several watchmen, one can be seen in a white beard. Screen grab of the images posted by Congress in two consecutive tweets. New Delhi: The Congress party upped the ante on its political gimmick against the BJP’s ‘Chowkidar’ campaign on Sunday as it tweeted a fun poll game featuring none other than the topmost leader of the saffron party, but in a miniature form. Through its official Twitter handle, Congress shared an image that has multiple miniatures of a man dressed as 'chowkidar' (watchman). Among the several watchmen, one can be seen in a white beard resembling the Prime Minister. Asking people to spot the odd one out, the grand old party said only "one chowkidar is chor (thief)". In a second tweet, the Congress tweeted a fun video clip in the form of a slideshow presenting a series of still images of an animated version of a thief and a watchman behind bars, which fellow Twitterati can pause and play as they will. However, the catch is the caption that the Congress party gave in Hindi, which says, “Catch the thief”. Time and again, the Congress has ridiculed the BJP’s flagship ‘Chowkidar’ campaign since its inception via various ways. Even on Saturday, the youth wing of the Congress came up with 'Main Bhi Berozgar' hashtag which, it claimed, is trending on social media. The 'MainBhiBerozgar' hashtag was ideated and executed by the social media team of the IYC, to "blow out the facade" of the BJP's promise of generating two crore jobs in the country annually, IYC spokesperson Amrish Pandey said. 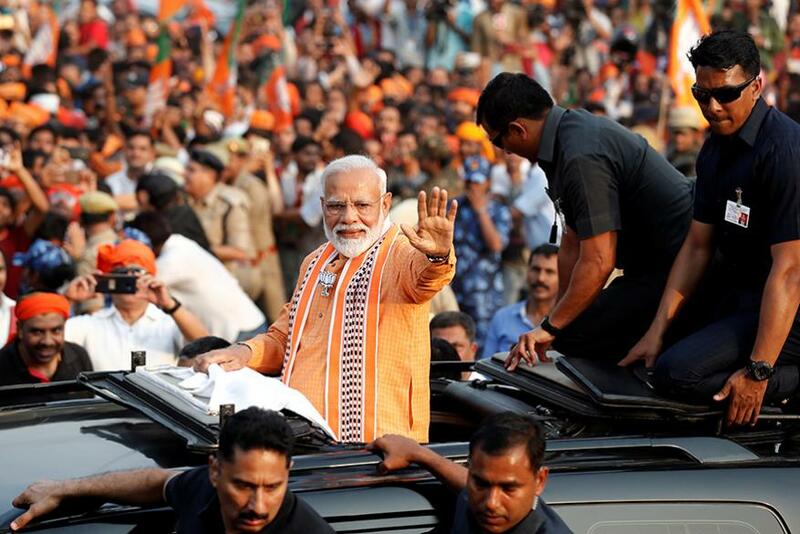 The BJP has come up with the 'Main Bhi Chowkidar' campaign in a bid to counter Congress president Rahul Gandhi's oft-repeated 'Chowkidar Chor Hai' jibe at Prime Minister Narendra Modi, as the two sides are locked in a keen battle in the Lok Sabha polls.